When your dog is fighting a serious disease, you want a supplement that will help her live longer, healthier and beat the odds. Dr. Dressler’s Apocaps CX Apoptogen Formula is a popular neutraceutical that’s often discussed at Tripawds, so here is some information to consider when creating a supplement regimen for your hero. Let’s start with “Apoptosis.” This is a healthy process that safely eliminates old and damaged cells from the body. Scientists commonly refer to apoptosis as “cell suicide,” which is a normal, fundamental and desirable natural process. Why Can’t I Make My Own Apocaps? You can, sort of. Many of the ingredients found within Apocaps are available to all of us from health food stores. But when taken individually, or even combined into a meal, there’s a great chance that these apoptogens will be eliminated from the body without ever being absorbed by the bloodstream. 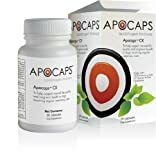 The biggest difference between buying Apocaps and purchasing the ingredients on your own is that Dr. Dressler’s formula is designed around a proprietary, patent-pending process that “tricks” the body into circulating the apoptogens throughout the bloodstream. Another benefit of Apocaps is that because the ingredients are highly concentrated extracts, it takes the guesswork out of finding the most effective dosage. Thus, the risk of gastrointestinal upset is practically eliminated. Can Apocaps Be Used with Chemotherapy? Dressler’s Dog Cancer Survival Guide has detailed information about the best times to give Apocaps to your dog, but in short he says that “if you choose to include chemotherapy and/or radiation treatments in your dog’s Full Spectrum cancer care plan, you can often use Apocaps at the same time. . . as always, make sure that your vet or oncologist is supervising your use of Apocaps for interactions with other drugs and supplements.” In addition, Apocaps is safe and recommended for use in conjunction with K9 Immunity. While Dr. Dressler does dedicate several pages to Apocaps in his guide, it’s not a hard sell. 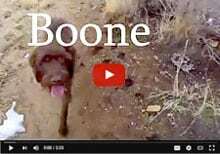 He discusses the trials Apocaps has participated in, interviews oncologists and patients about their experience with it, reiterates repeatedly that Apocaps may not be right for every dog and requests that readers talk to their vets before buying. Another aspect we appreciate about Apocaps is that the Apocaps website is completely transparent when it comes to listing ingredients and making the company available to talk to vets. They even provide contact information so your vet can email the Apocaps team with any questions. Dr. Dressler’s approach toward the marketing and selling of Apocaps is professional yet caring; he seems to genuinely care about your dog’s health above all else, and wants to make sure that your dog’s best interest comes first. The downside to Apocaps is of course, the price. They may be cost-prohibitive for medium to large dogs (one 90-capsule bottle will only last 10 days for a dog 60 pounds or larger). With the high costs of veterinary oncology care, it is unfortunate that this powerful supplement may be out of reach for some people. Dr. Dressler’s Dog Cancer Survival Guide Kit, however, includes a $30 coupon and frequent Apocaps sales on Amazon make helping your dog with Apocaps less expensive. What are your thoughts about this supplement? Please share your feedback with others below, we’d love to hear about your experience. Apocaps® is the only apoptosis formula available, and it’s made specifically for dogs. Some of the ingredients in Apocaps — although available in plants found in your neighborhood grocery store — would need to be eaten in such high quantities that an extract form is vastly preferable. Apocaps provides exceptional quality at extraordinary value. 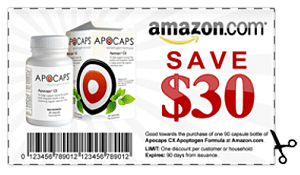 Save on Apocaps at Amazon! Please note that we are not veterinarians. The information presented here is not meant to be construed as medical advice or guidance, nor should it be substituted for professional veterinary assistance. Always discuss any remedies and treatments you wish to pursue with your veterinarian. My 7yr old Schnauzer has been diagnosed with spindle cell sarcoma on his right hind leg & will be getting it amputated. Can apocaps help? Scruffy and family, we are sorry to hear about the diagnosis. Please come join us in the Discussion Forums so we can be there for you OK? Yes, Apocaps is immune support for all dogs regardless of what kind of cancer they are fighting. We can’t recommend it enough. Great question Ken, but we can’t provide veterinary advice, and the type of cancer may make a difference. Please consult your oncologist before making any changes to your treatment plan or adding supplements. Or, consider searching and posting in the forums for much more feedback from members. My dog went to the vet today. He has two masses on his neck under his jaw. We thought it was from an infected tooth. Was put on meds, did not help. Now they are thinking lymphoma. I am devastated. Would he benefit from this? As an oncologist old us, It can’t hurt so it may be worth a try. Find more feedback from the others in the discussion forums, search all blogs here or ask your vet about this new treatment for lymphoma. Can I give this to my healthy 11 year old lab as an overall preventive ? Hayden, that’s a great question. 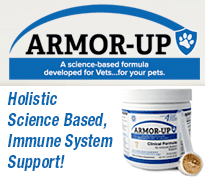 For healthy dogs who aren’t battling cancer, we recommend Armor-Up by K9 Medicinals. Hello–my 8 year old standard poodle was diagnosed with osteosarcoma a few weeks ago and had an amputation today. His chest X ray and abdominal ultrasound did not show any other cancerous activity ( but we know it is likely)–will this help him? Julie, we are sorry to hear about your pup. Please join us in the Tripawds Discussion Forums for lots of help from the community. And also check out our latest post about medicinal mushrooms, you’ll find it helpful.